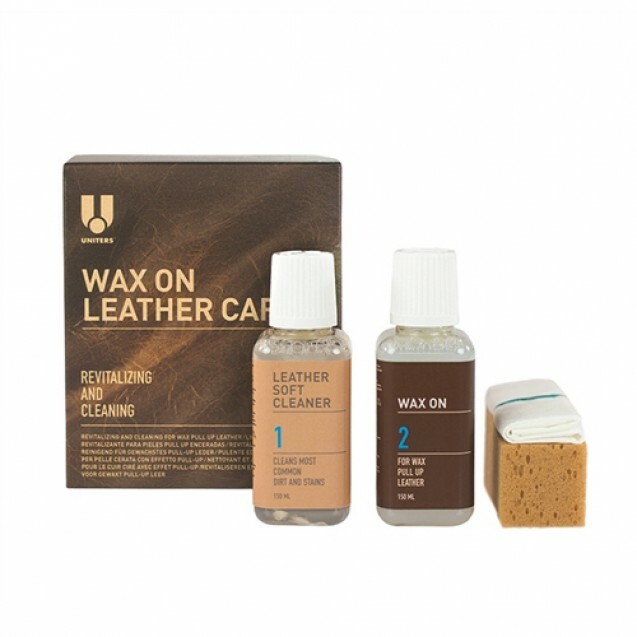 Wax On is a specially designed product with a feel agent that restores the wax feel and effect to Wax and/or Wax/Oil Pull Up leathers. Wax On is excellent for removing mild scratch marks and light fading due to wear and tear. Wax On can also be used on By Cast to give the surface a better feel and remove light scratches.